 At The Gouveia Real Estate Team, we are of the belief that we owe the community we thrive. We are always working towards contributing to and giving back to the community, who have made it possible for us to carry out our services. In addition, we have also organized multiple opportunities to support the less fortunate within the community by participating in events, fundraisers and offering donations. Below are a couple of our immense contributions to our community. The Gouveia Team Cares! Every year our team hosts a Christmas Toy Drive where we drop off and collect numerous toy boxes from local businesses throughout the community. We also host a holiday party where we celebrate with our family, friends and clients where we collect additional toys for the organizations that we support. Some of the organizations we deliver to include The Boston Children’s Hospital, local Secret Santa and Toys for Tots. For many years our team has hosted food drives throughout the year for the holidays. We work closely with local food pantries to keep up with the demand of food needed to assure we reach as many families as possible. We consider our clients family. Each year our team has our annual Client Appreciation Party that is always a great time to get together, deepen our relationship and to give back to all our clients and say, Thank You from the bottom of our hearts for your trust, business, your ongoing referrals and most of all your friendship. The Gouveia Team Moving Truck participating in one of our local Memorial Day Parades to show support and love for our military. We are involved in many town pride day events to show our support and to help make these free events possible for the public to enjoy. We have experienced that this is a great way to come together in fellowship and form overall stronger communities.